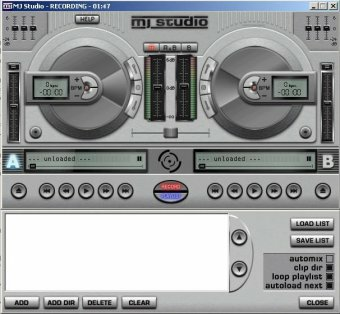 MJ Studio heeft twee deks waar u MP3 's mee kunt afspelen met toepassingen zoals toonhoogte, scratch en mixen met automatische beat detectie - een volledige virtuele dj oplossing met een mixer, 3-bands equalizer met voorbeluistering, afspeellijsten met ID3 ondersteuning en een autoplay functie die uw MP3 's naadloos afspelen kan.
started with the upcoming of MP3s in the year 1997, a software for playing music on student parties was developed, called: MJ. 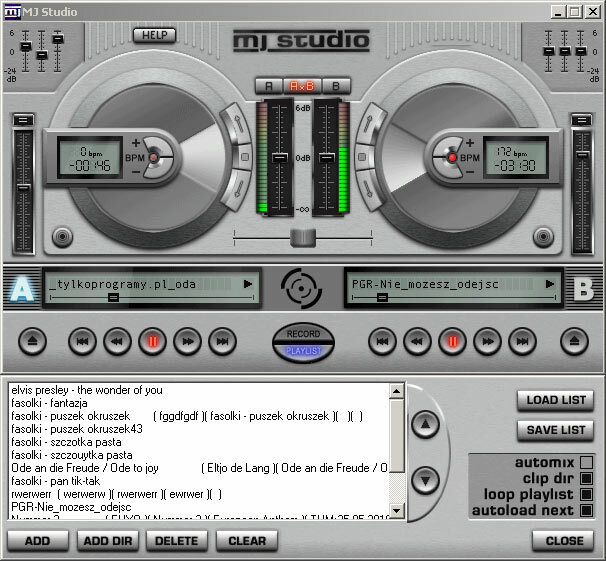 A first public release was available in the year 98. 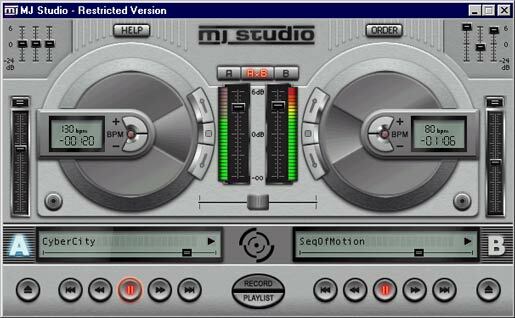 MJ had two decks where you could play back mp3s, pitch, scratch and mix them with automatic beat detection - a complete virtual dj solution, including a mixer with 3-band equalizer with pre-hearing.